Greater Austin Comic Con is a celebration that brings all things pop culture together. The two-day event will provide will include vendors, gaming competitions, cosplay contests, superhero theme car show, and lots of entertainment for kids. 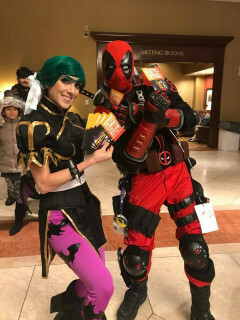 GACC will have guests that include movie & TV stars, sports stars, cosplay artists, game developers, comic book creators, artist/writers, and more. $9 per day; $12.50 for two-day pass.